#USMNT 90 min away from #CopaAmerica semifinals. Whatta think? 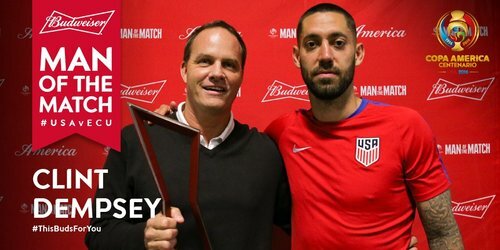 Biggest win on US soil? 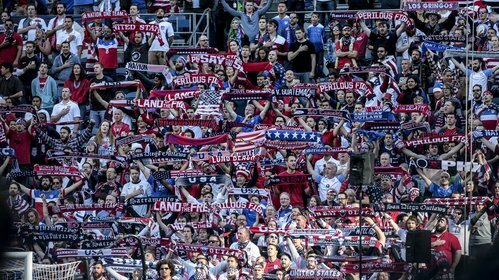 Bigger than Gold Cup vs Mex or World Cup v. Colombia? Will the #USMNT regret not putting home one more of those? 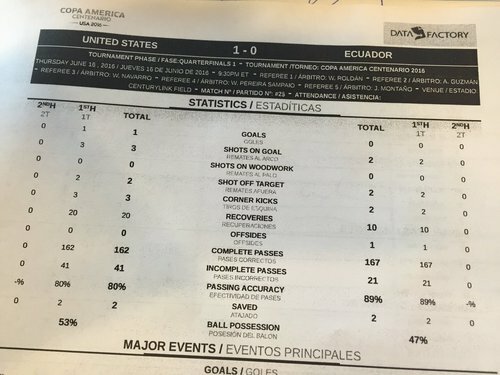 Possible, but also think this Ecuador defense will give up a few more chances. Amazing atmosphere here at @CenturyLink_Fld ! Second half is underway. 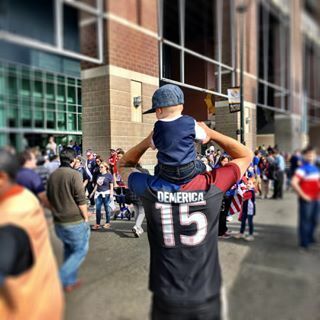 USA up 1-0. GOAL USA!! 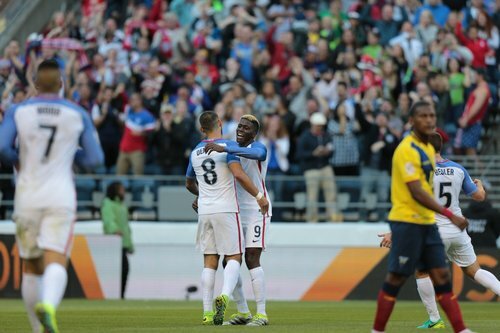 Zardes taps home the goal-bound shot from Dempsey and it's 2-0, 65th minute. 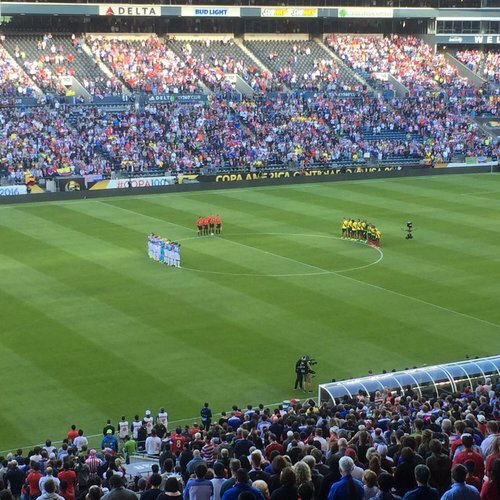 USA GOAL—Gyasi Zardes makes it 2-0 from Clint Dempsey, and the US has a little breathing room. Wild game. Seattle going bonkers. 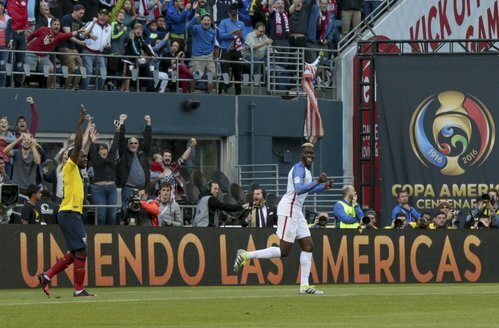 Zardes taps home shot from Dempsey that looked to be going in anyway. No matter. #umsnt with some critical breathing room. Incredible assist (or shot) by Dempsey to set up Zardes and US stretches lead to 2-0 in Seattle. 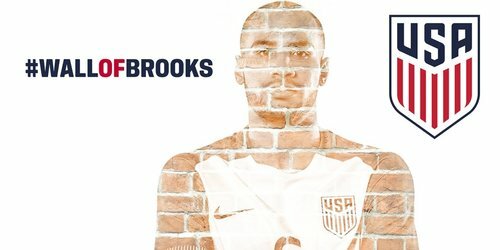 Might want to make some subs here, USA. It's the 90th minute and the Ecuador bench just went nuts over a foul call, throwing bottles onto the field. 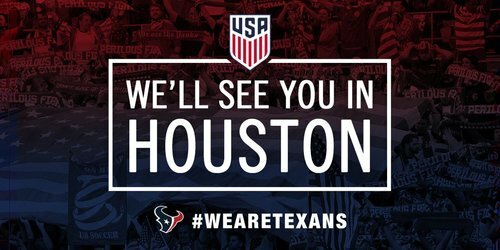 Houston, we're headed your way. 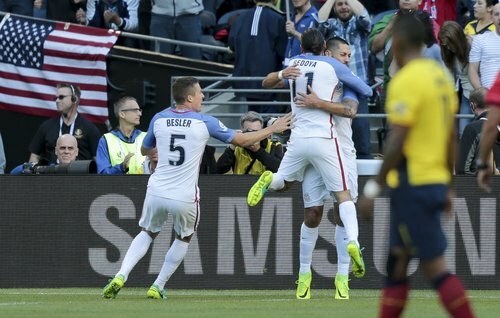 Great win @ussoccer !!!!!! USA USA!!!! #CopaAmerica ???????????????????????????????? 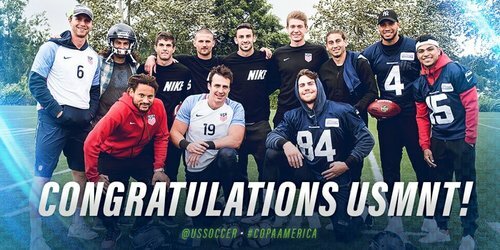 USA now guaranteed two more games in Copa América.